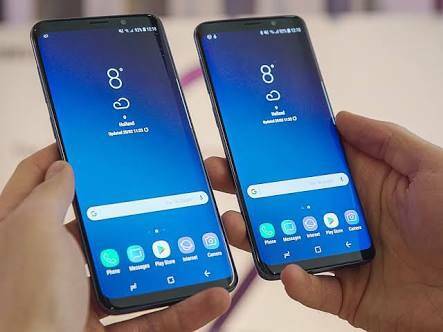 This is a complete guide on how to enable USB Debugging on Samsung Galaxy S9/S9 Plus. USB Debugging is mostly used by developers which is why it can only be accessed through the developer options in the Settings Menu. Now the Developer Options/Menu cannot be seen in the settings menu unless you know where to go in order to activate it. This because everything under the developer options are supposedly meant for a developer and not an ordinary user. Developers use these particular settings under the developer options to develop Android applications. However, some things an ordinary user would want to do on his or her phone would require some settings in the developer options. For example, connecting your Phone to a PC in order to transfer files or Backup your files to your PC would require your USB Debugging to be turned on. It can also do other stuff like allow you upgrade to a new/latest firmware using Odin on PC. However, most of the developer options won’t be of use to you if you aren’t an App Developer. So in order to enable USB Debugging on Samsung Galaxy S9/S9 Plus, you’ll first need to activate or rather enable the developer options. This menu is always hidden in a new phone, so if you’ve seen the developer options in your settings menu, then someone activated it for you. If that is the case, then skip to the enabling USB Debugging part. Otherwise, follow the Step below to activate it. Scroll to Device Information and Tap it. With each tap, it shows you how many more tap is remaining for you to reach your goal; Becoming a developer. When you’re now a developer, you can now go back to the Settings Menu to see the new Developer Options. If you don’t see the Developer Options in the Settings Menu, then you didn’t do it right. If you did see it, then you can go ahead to enable USB Debugging on Samsung Galaxy S9/S9 Plus. Look for the new Developer Options and Click on it. Toggle the USB Debugging On. That’s it. You can now connect your Samsung Galaxy S9/S9 Plus to your PC to update to the latest firmware, Transfer files, etc. You can also do a bunch of other stuff if you are an app developer. Note: The settings in the developer options menu is mostly meant for app developers. So make sure you know what you are doing while tampering with any of the developer options settings. If you don’t what it does, kindly leave it the way it is in order to avoid phone malfunction of any kind. That’s how to enable USB Debugging on Samsung Galaxy S9/S9 Plus. This process is pretty simple and straightforward. However, if you run into any trouble while trying to enable USB Debugging on your phone, be sure to let us know using the comment section down below.